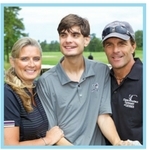 Since 2012, the Flutie Foundation has partnered with close to 70 schools and organizations to help fund technology and training that help students improve learning, communication, and socialization. 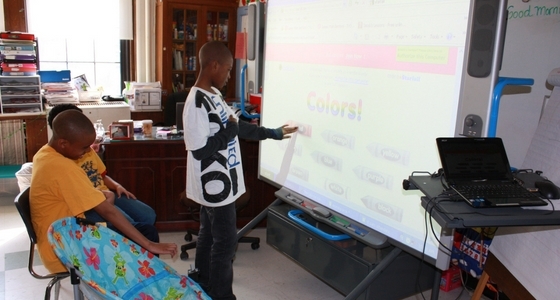 One recent grant recipient, Westchester Exceptional Children, Inc. of New Jersey, used Flutie Foundation funding to purchase a SMART Board and now reports that every student is more engaged in the learning process and 75% of students have increased their attention span and ability to focus on tasks. Instead of sitting in the back of the classroom struggling to read the board and follow the teacher’s instructions, students are now eager to participate in SMART Board activities, can stay focused much more easily, and work together with their classmates much more frequently and productively. Lesson plans are no longer limited to a chalkboard, as teachers can design their curriculum with websites, photos, videos, and music, which students can physically interact with on the SMART Board. Organizations interested in applying for funding for unique and innovative uses of technology in the autism community can apply for our Allison Keller Education Technology Program beginning on December 11, 2017. Proposals will be due by January 19, 2018. Please see guidelines and find more information on the online application on our website.